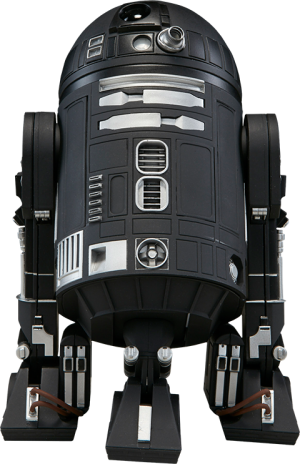 Seen in the trailers for Rogue One: A Star Wars Story, C2-B5 is an imperial astromech droid currently in the service of the Galactic Empire. 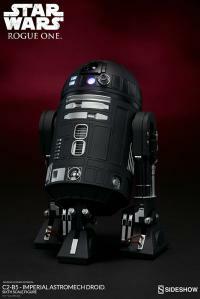 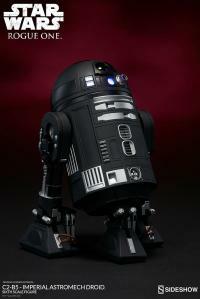 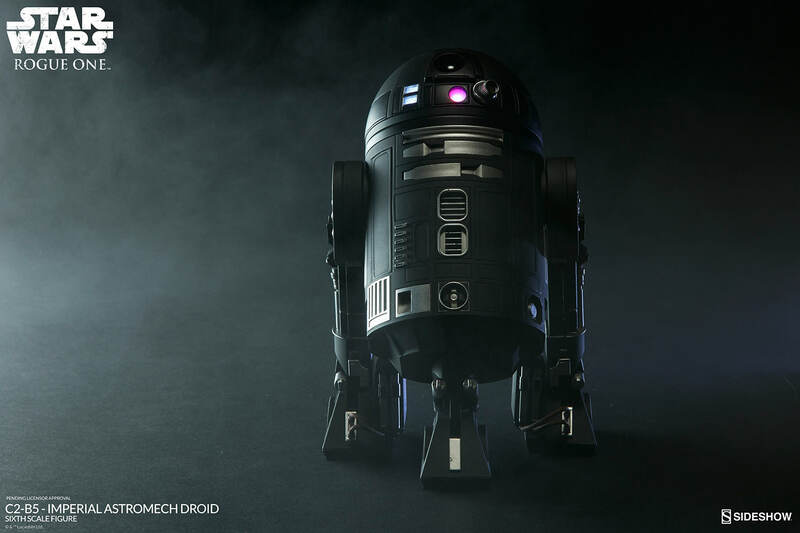 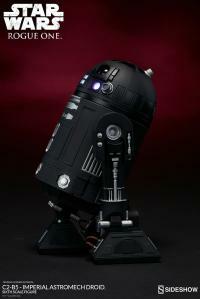 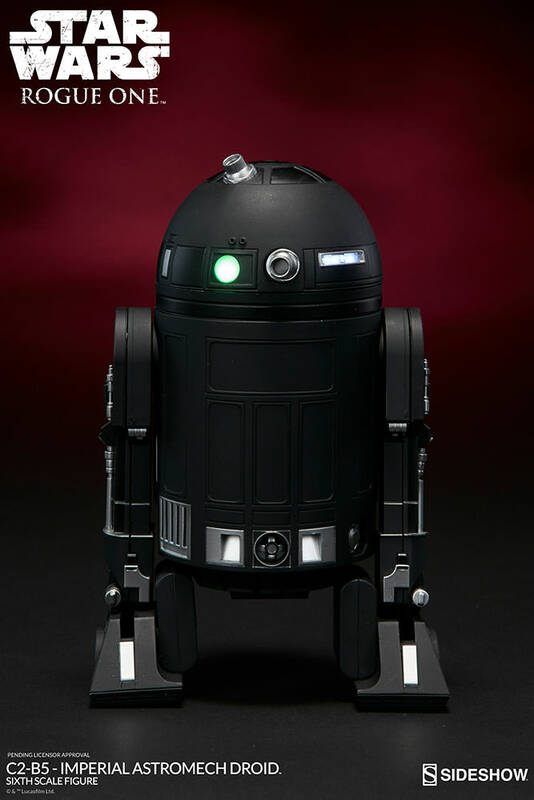 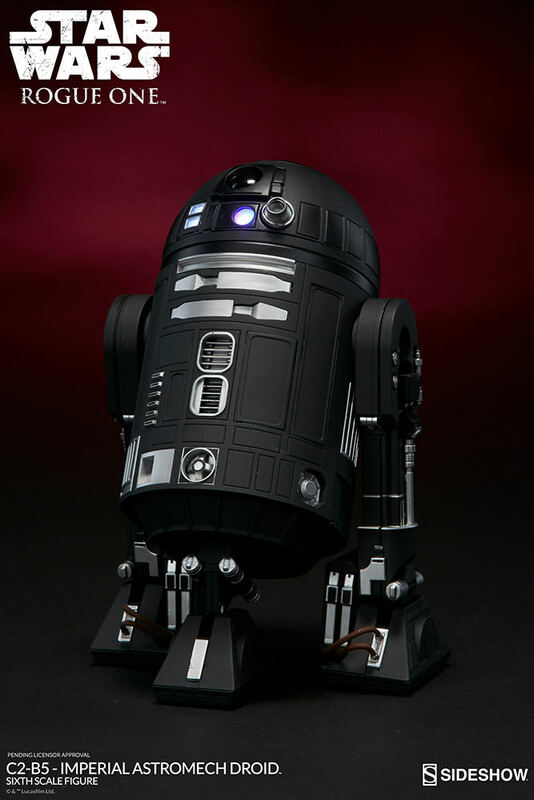 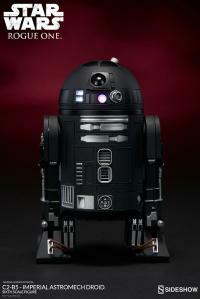 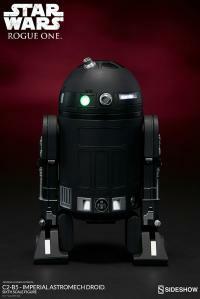 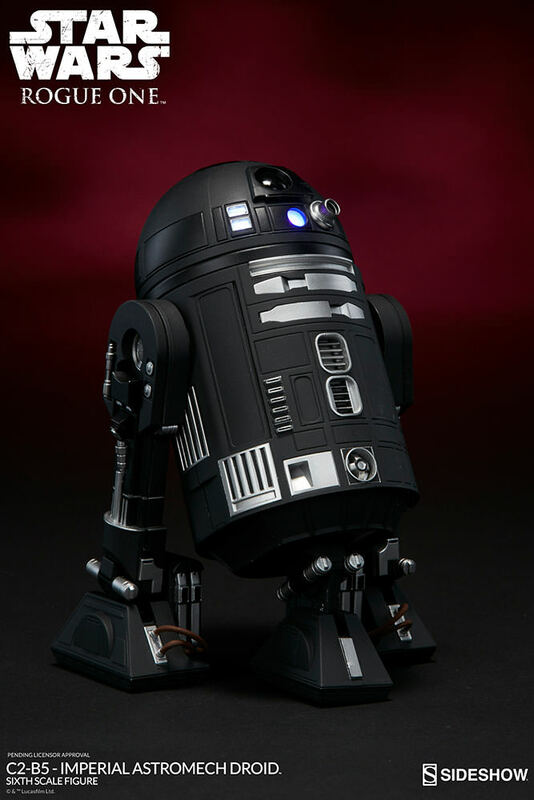 This droid’s plating is a unique gunmetal base with matte black and silver accent panels. 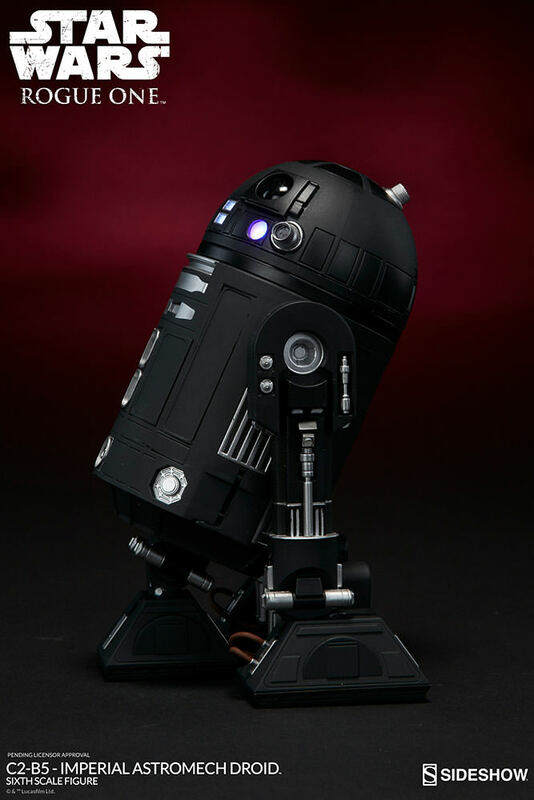 It features switching processor state indicator lights on the front and rear dome, as well as illuminated logic function and diagnostic light display ports. 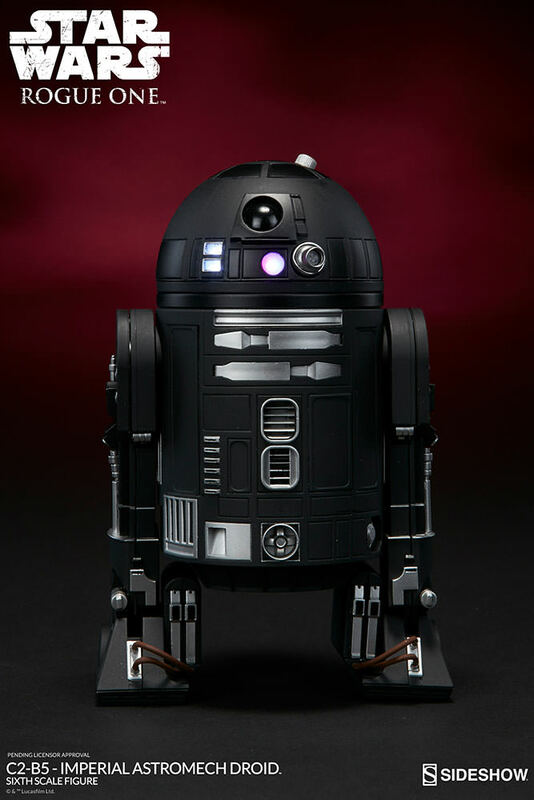 Sideshow’s C2-B5 features a rotating dome with articulated projector ports, adjustable terrain tread legs (with a retractable front leg), and hinged panel utility access ports. 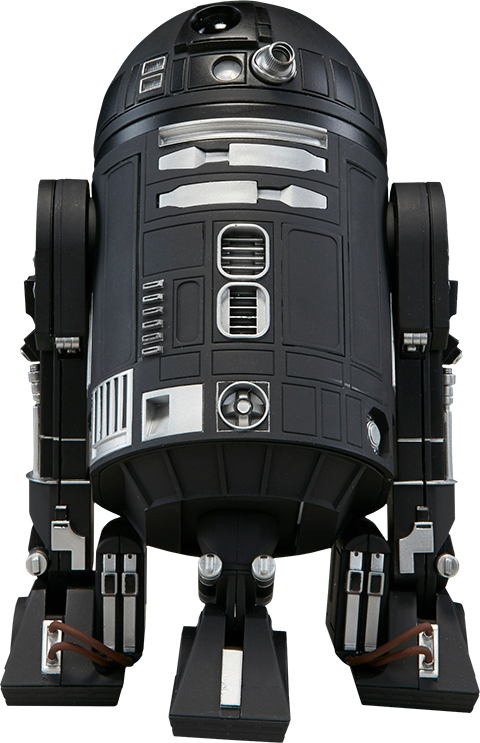 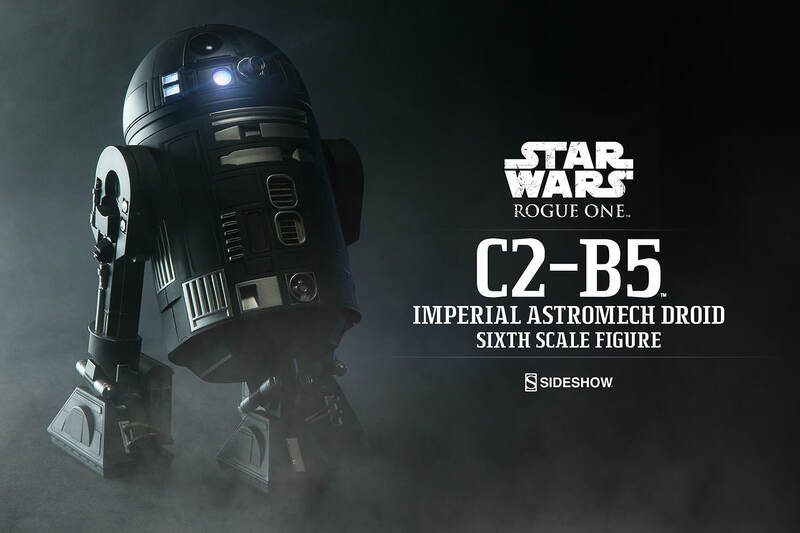 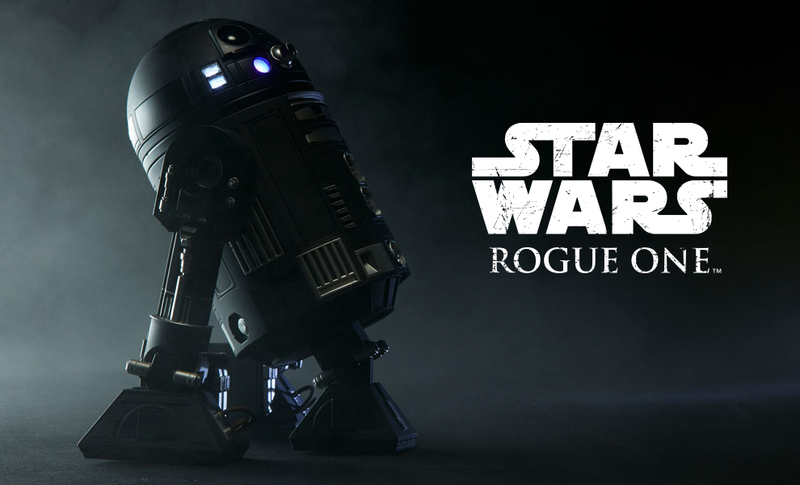 For those that collect droids, this may be the one that the Rebellion is looking for so don't wait to add the C2-B5 Imperial Astromech Droid to your collection!